The body of a penguin is very interesting. They are designed to allow them to move with ease in the water. They also spend a great deal of time on land, but movement is slower than when they are in the water. They have flippers for the water but they aren’t able to fly. They have a body that is well insulated to help keep the cold water from their skin. 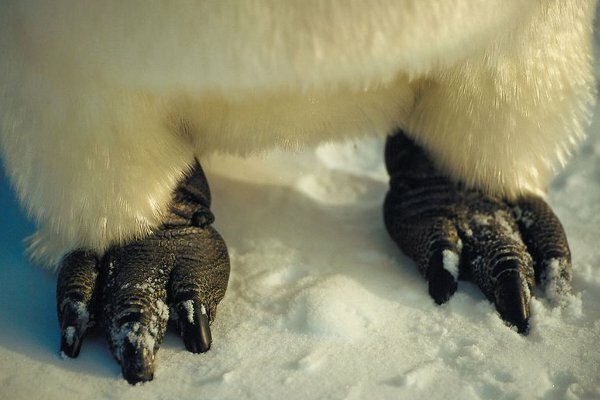 The body of the penguin is covered with feathers that offer them insulation. When they are on land, the flippers and the tail are used to help them maintain balance. The tail is very short and wedge shaped. Waddling is the common type of movement on land. When there is snow on the ground, they can be seen sliding on their bellies. It is quite comical, but it helps them to move faster and to use less energy for such movements. If they need to move through rocky terrain, penguins will hop or jump. The feet are stiff and they feature four toes on each. They also feature webbed feet. Even though the legs are short, they are very strong. The main part of any penguin body is going to be black with white, regardless of the species. This helps to them to be camouflaged in the water from the top and the bottom. The dark colors on the top make it harder for them to be noticed by predators above them. The white belly makes it harder for them to be identified by any predators below them. The shape of the bill will vary based on the species of the penguin. Most of them are long and thin for those species that consume squid, fish, and crustaceans. For those species that consume krill most of the time they feature a bill that is shorter and that is wider. Inside of the mouth there are rear facing spines that allow them to swallow their food while it is alive. Diving into the water is common practice for the penguins. It allows them to easily catch their prey. Some species can dive more than 1,800 feet and remain under water for up to 20 minutes. Smaller species tend to dive at lesser depths and come up for air in less time than the larger species of penguins. They are able to hear very well, and it is amazing how parents and chicks are able to identify each other even in very large colonies by the sounds that they make. They have good vision, even when they are in the water. They are able to drink salt water as their body will filter out any extra salt through the nasal passages. 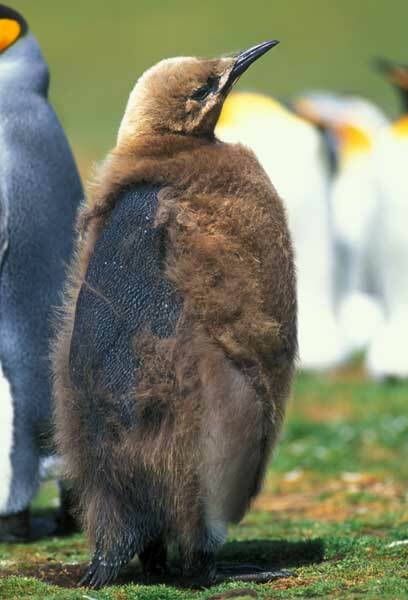 All penguin species will molt, which means shed their features, at least once per year. For most species this occurs when the breeding season has ended. This is a process that helps keep their features in good condition. Over time, the feathers have rubbed together so much that they aren’t clean and they don’t contain enough oil. The new feathers grow under the old ones, and that new one pushes the old out. Unless that entire process has been completed, a penguin can look strange during the transition. They tend to stay out of the water as much as possible during the molting process. They will also fast during this period of time. They will live on the fat that they have stored until they are done with the molting process. It is believed that during molting they lack the level of insulation that they need for being in the water.